Nelly is currently in S1 and in the past has volunteered for many different clubs like SU, Glee, and Jazz clubs in her area which do things like camps, cooking, art, or sometimes film making. The Young Scot that inspired me is Nicola Sturgeon because not only does she represents Scotland as it is, but she has inspired me to try and build up my courage to let my voice be heard. She is also the first female to hold position as our First Minister. The best thing about growing up in Scotland for me is the history, the beautiful view, and it has a great education which allows lots of children get used to Scotland if they are from a different country, if they don’t know the Scottish language. In conclusion, I love visiting the places like Edinburgh Dungeons, Loch Lomond, Edinburgh Castle or Mary Kings Close. 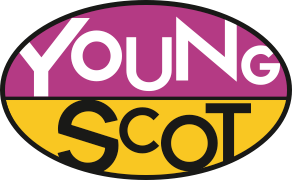 I would like people from older generations to know about young people that times have changed, we may have a brighter future with our education and I would like them to know about Young Scot and what it can provide us like , activities, rewards and participation. My biggest achievement is when I came home with a trophy saying that I have won a Youth Award category 2017, when I was in P7. I brought home a glass trophy with my name on it and the details of my achievement, a certificate and a gift card. In the future, I would hope to go to college study Drama and hope to be an actress so that I can take part in activities which involve people with special needs, or to just get promoted in great films and plays. My message to Young People would be to not give up, life is like a boat on the oceans, there will be storms on the way, but the only way to get to calm waters on the other side is to not give up. This means to me a lot because I have been doubted in life a lot of times but I never give up. If Nelly’s story has inspired you, why not share it on social media using the hashtag #MyStory365 or visit the ‘Get Involved’ section to share your own story!